1. How long have you been in business? It’s always a good idea to choose a contractor who has worked on countless projects in your area. Because they’ve been in business for a long time, they eliminate the potential for costly mistakes or even damage to your home or commercial property. This amount of experience allows for a smoother and safer work process, which makes a huge difference. Elite Certified Contractors has over three decades of experience in the construction industry, so we have what it takes to make sure your project is done correctly the first time. 2. Do you have the necessary credentials? These are one of the basic things to look for in your contractor. Make sure they have a contracting license to confirm they have gone through all the applicable channels to obtain the certifications related to their field of expertise. Additionally, don’t overlook proof of insurance, which should include workers compensation and liability coverage. Should any issue arise during the project, insurance coverage will protect both you and your investment. If you choose Elite Certified Contractors for your roof or siding replacement, we’ll be more than happy to show you our credentials. We take pride in covering all your bases. 3. Which manufacturers do you represent? Check the quality of the products your contractor offers by asking them about manufacturer certifications. These distinctions show how committed they are in learning about advanced methods and providing options of quality. 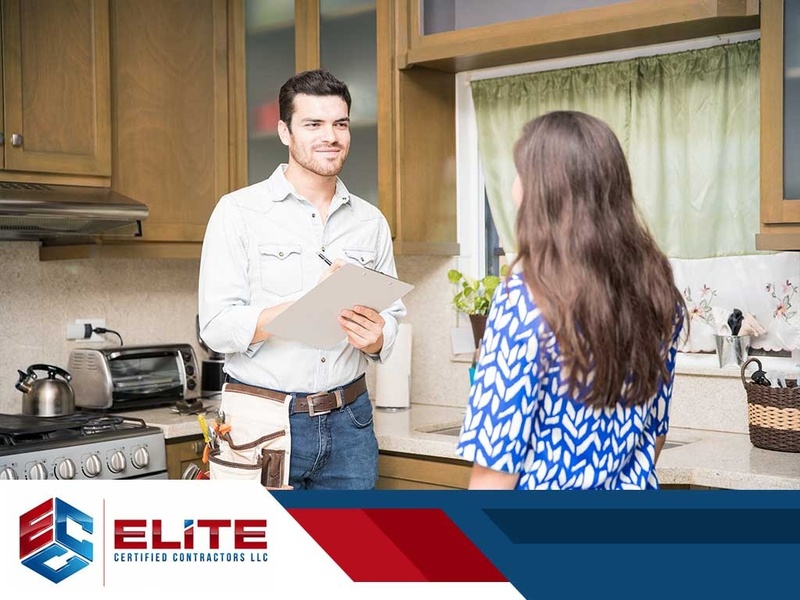 Elite Certified Contractors, for instance, represents the country’s leading manufacturers, including GAF®, Alside®, CertainTeed®, Simonton®, TAMKO®, Leaf Relief® and James Hardie®. Aside from the durable performance and exceptional good looks our products offer, they also come with generous manufacturer warranties. For all your roof replacement concerns and more, don’t hesitate to get in touch with Elite Certified Contractors. We aim to establish clearer and more effective communication lines right from the start. This lets us ensure a smoother, more worry-free home improvement experience for you from beginning to end, helping us guarantee your ultimate satisfaction. Elite Certified Contractors serves homes in Vienna, VA and the surrounding areas. To learn more about our products and services, give us a call today at (703) 424-8826 or fill out this online contact form.